This story was originally published on December 17, 2015. The modern exploration of space is often seen as a macho endeavor. In films, TV, and often in our history books, the astronauts who head into space are the manliest of manly men—think Armageddon and Apollo 13. In old photos of NASA’s command center, the scientists who send them into space seem look distinctly homogenous, too: But, in reality, women have been involved behind-the-scenes in planning space flights since the beginning. Just last month, Barack Obama awarded the presidential medal of freedom—America’s highest civilian honor—to a 97-year-old mathematician named Katherine Coleman Goble Johnson. You might not have heard her name in history class, but Katherine did some life-saving work back in 1962. In her job at NASA, she calculated the trajectory for astronaut John Glenn’s pioneering space mission to orbit Earth. Johnson co-authored the research and equations that laid out how to send Glenn into orbit and how to bring him back home safely. 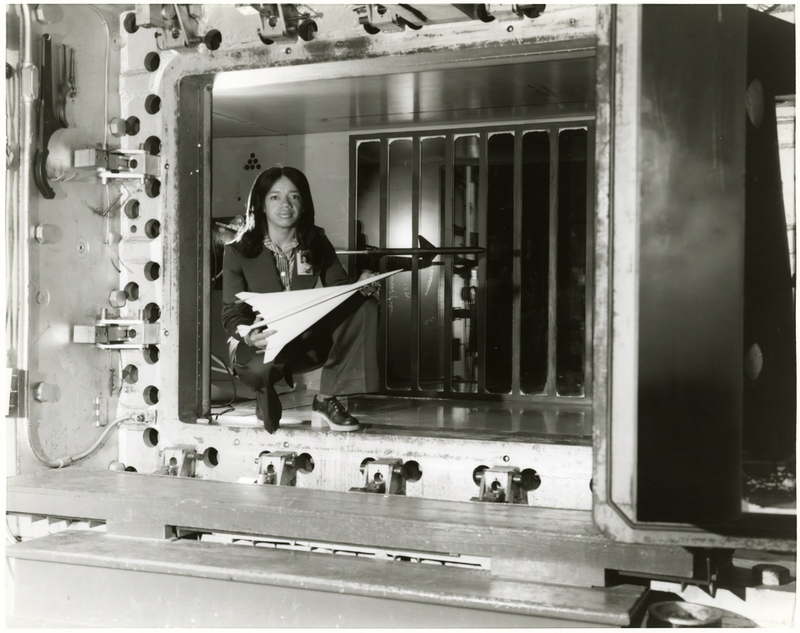 Johnson is just one part of a cadre of African American women who did crucial calculations for the space workforce during the Cold War. 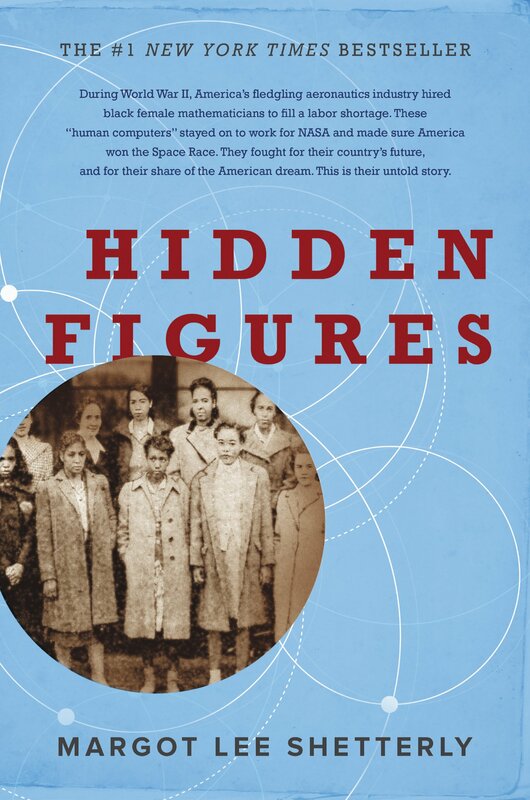 Author Margot Lee Shetterly tells the stories of these women in her new upcoming Hidden Figures: The African American Women Mathematicians Who Helped NASA and the United States Win the Space Race (which is due out from Harper Collins in fall 2016). I talked with Margot Lee Shetterly about the often-overlooked history of women working as NASA mathematicians. What was your interest in this topic? Do you have a personal connection to this history? My dad is a now retired NASA research scientist. I grew up in Hampton, Virginia. And Hampton is the site of the very first installation of what would become NASA. My dad started work [there] in 1964. And so I grew up around a lot of people who worked at NASA who were engineers or research scientists or mathematicians, and a lot of whom were African American, and a lot of whom were women, and a lot of whom were both: African American women. So it sort of seemed normal to me. You know, I grew up in something that over time, I realized to be very unusual. But for me, as a kid, the face of science was quite diverse. The federal government and government-sponsored science proved to be robust and interesting and very good careers for a lot of African Americans and a lot of women and a great way to get a piece of that American dream and have a middle class lifestyle and bring up their kids—my generation—with a lot of the access to education and comfort and things like that, that everybody across America wants for their children. What kind of challenges did women working at NASA face at that time, and did they find community with each other in some significant ways? Right, well, before we talk about the 1960s, we have to go back to the 1930s and ’40s. This story starts 20-25 years before the space program. Before there was space, there was aeronautics. Before there was the National Air and Space Administration, there was the National Advisory Committee for Aeronautics. They were testing planes, making planes better, improving planes. This was, you might imagine, a very mathematically intense process. This was sort of the early part of the 20th century when the airplane was still relatively new. There was a huge amount of data associated with that. The engineers made the decision to perform kind of a human experiment, which was to see if a computing pool—the same way that there was a stenographic pool—and they’d have women who took different parts of typing assignments and things like that, if a computing pool might be an efficient way to process the data that came from aeronautical research. Well, lo and behold, the first five women who were in this pool were smart math graduates, former teachers in many cases. And it was a success. They steadily started hiring more women. Until 1943, they were all white women. What happened in 1943 is that the demands for computing power and smart female computing power were so great, and with men going off to fight and at the same time, there were skyrocketing demands for faster, better, safer airplanes. They hired a group of African American women. This is after the pressure from a civil rights leader named A. Philip Randolph. He basically pressured Roosevelt into issuing something called Executive Order 8802, which said “Thou shalt not discriminate in the war industries and the federal government.” So it was after that executive order, 18 months later, that the first group of African American women mathematicians started working at the Langley Memorial Aeronautical Laboratory in Hampton, Virginia. So this is all a very long back story. Those women, they did the same work as their white counterparts, but they were forced to use—as you might imagine in the segregated South—colored-only bathrooms, a colored-only cafeteria. And of course, in the town itself, it was segregated; lunch counters, schools, hospitals, everything, every aspect of life was segregated. But this was an opening for those women. So the job of “computer” isn’t something that really exists these days. Can you tell us about what these women would’ve been doing at NASA? So it’s only relatively recently that a computer refers to a piece of electronic hardware and not to a person, who frequently was a woman. And the job title, as it indicates, is someone who computes: a computer. They would simulate flights by having, let’s say, a scale model of an airplane, put it in a wind tunnel, and instead of flying the plane through the air, they would have giant turbines that blew the air over the model of the airplane. They had all kinds of instruments, actually, that they designed themselves specifically to capture and record basically every aspect of either the plane or the model in the wind tunnel. And there was a huge amount of data that came out of this. So some of the women were in charge of looking at these instruments and recording the data. So imagine looking at some kind of instrument every two minutes or every 30 seconds or whatever the interval is, and taking recording and putting in a huge data sheet, just marking it down. And then some other women did more theoretical work. So instead of necessarily putting a plane in a wind tunnel and taking data and doing this empirical work, maybe they would take their knowledge of geometry and trigonometry and multi-variant calculus and physics, and using higher mathematics, would come up with theoretical ideas about how the plane would be better and how to make changes and improve the aircraft. So there was this full spectrum, everything from simple calculations to extremely high-level math that these women did over time. So for your book, Hidden Figures, you talked to some of the women who worked as computers at NASA during this time. How did they describe their feelings toward their job and the work environment? You look at Mad Men, or you look at the norms of the ’40s and ’50s and the ’60s and what’s acceptable then, it’s simply not acceptable now. And that people were fighting to change those. A lot of these women were very active in their communities, very active in organizations that were fighting for civil rights and that were working in their communities to make these changes. They acknowledged these horribly difficult parts of going to work each day in that situation. But at the same time, they loved their jobs. 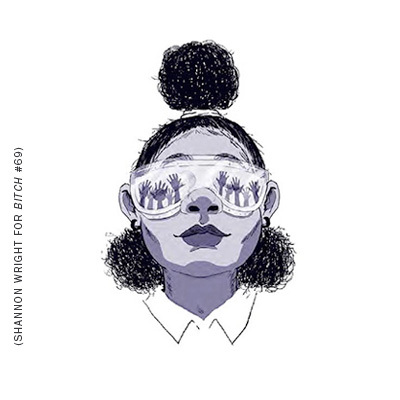 I mean, this is sort of one of these things where it’s glass half-empty/glass half-full because when these openings happened, when these jobs first started to become available, this was a new things for women and for African Americans, and particularly for African American women, where if you were a math graduate, and you were a talented young woman who wanted to make your mark in math or science, the way it was going to happen was in the classroom. This was the expectation for even the most talented of women coming out of school with an undergraduate math degree or even a graduate math degree, for that matter. And all of a sudden, here’s a job where you’re going to be a professional mathematician. You’re going to challenge yourself and apply these things that perhaps you learned in college and actually work on something that is really exciting. I mean, John Glenn’s flight, they’re getting ready, they’re counting down for his flight, which was in February of 1962. And as part of the final checklist before he took off for this pioneering orbital flight that really changed the balance in the space race and in the Cold War between the United States and the Russians, one of his checklist items was “have the girl”—and at this point, all of the women, regardless of color, were called girls—he said, “Have the girl to double-check the numbers.” And the girl was Katherine Johnson. She had been there since 1953. If you ask her about her experience over the years as a mathematician, it’s exuberant. I mean, it’s not that they don’t acknowledge the difficulties; they do. But at the same time, these were people who took their work and their jobs and this opportunity very seriously and gave their all to it. And then of course, just this month is the really exciting news that Katherine Johnson was awarded the Presidential Medal of Freedom for her work. That was just so exciting to see her there. So in your work, you interviewed a lot of women who worked in NASA’s space program. And I’m wondering what stories resonated with you personally? Can you share with us another story of a specific woman that really connected with you? There’s a woman whose name was Dorothy Vaughn. And Dorothy Vaughn, so back in the days—the early days, the 1940s and 1950s particularly—the Black women were working in a segregated group. Originally, there was a white woman, sort of a section head and assistant section head. But the two managers were white women, and the women who worked in the group were Black. But eventually, a woman named Dorothy Vaughn, who came to Langley in 1943 and had been a math teacher for many years before that, but like so many people, she made her way to Hampton during the war. Dorothy Vaughn eventually rose to be the head of that group, the West computers. This was in 1951 that she was officially made section head of that group. And what that meant was that she was a manager. I’ve interviewed so many people, Black and white, male and female, and so many people have memories of Dorothy Vaughn as being both a very, very good mathematician but also a very good manager and somebody who was an advocate for not just the Black women in her group but also white women who were not in her group who perhaps were subject to the same thoughts about women and their limits and their capabilities. Why does that resonate with that personally? Why does she stand out so much, and when you talked to her or talk about her, what does it make you feel? You know, I think it’s probably the idea that back so long ago—I mean, when I first started my career, I worked on Wall Street, and I was an African American woman in a largely male and predominantly white workplace. I just imagine, as a woman in what was then like the 1900s and 2000s in a workplace like that, what would it be like in 1943? Completely unknown, never having worked in an integrated situation, in a state where segregation is the law of the land, and having everyday courage, I guess I would call it, to take the slights: to have to go to the segregated bathroom. But then to have the courage to really advocate for the women around you. That’s the kind of thing that you kind of hope that you, in some measure, have inherited. I think that idea of having everyday courage, regardless of what job you work in, is a really special one. I think everybody has to kind of find courage to advocate for themselves and for other people even if they’re behind a desk in any office or regardless of what your job is: even if you’re not a rocket scientist. When I think about these women—and there were hundreds of women doing this work—I think it’s the everyday courage to be in a new situation where the expectations are very low, perhaps, and to stick with it and just, through force of will and through your own talent, decide that you’re going to defy those expectations. That takes a lot of guts. It takes a lot of guts and a lot of gumption, and I feel like I find these women to be role models. I’ve learned so much from their stories.